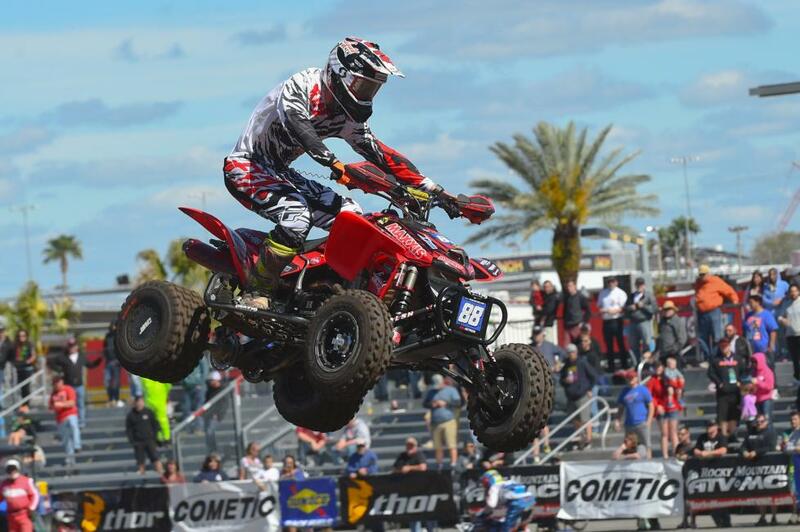 DAYTONA BEACH, Fla. (March 15, 2017) – The 2017 Wiseco ATV Motocross National Championship (ATVMX) presented by CST Tires, an AMA National Championship kicked off yesterday, March 14, at the iconic Daytona International Speedway in Daytona Beach, Florida. After opting out of the first timed qualifying session, Wienen Motorsports/SSi Decals/Walsh Racecraft/Yamaha/Maxxis/7240’s Chad Wienen came out swinging in the second qualifying session to claim the first ATVriders.com Fastest Qualifier Award of the season. 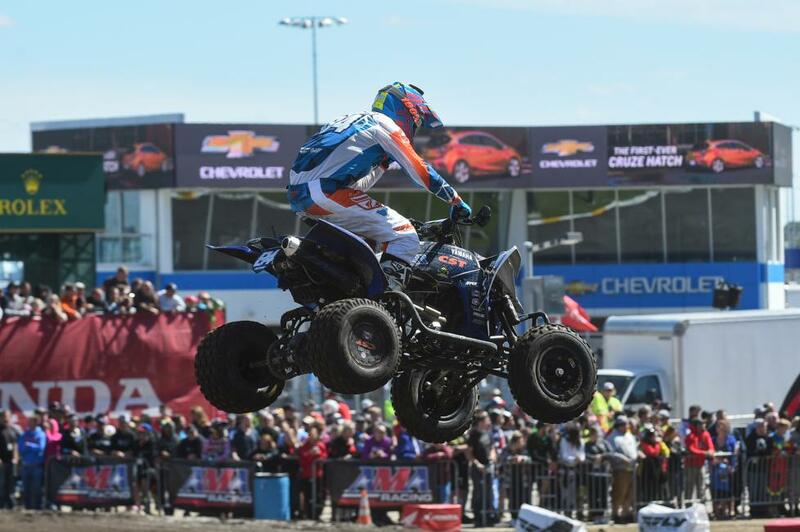 When the heat races got underway for the Third Annual FLY Racing ATV Supercross, Root River Racing’s Josh Upperman and Maxxis/Elka/Liquid Wrench/Honda’s Joel Hetrick emerged with the wins. 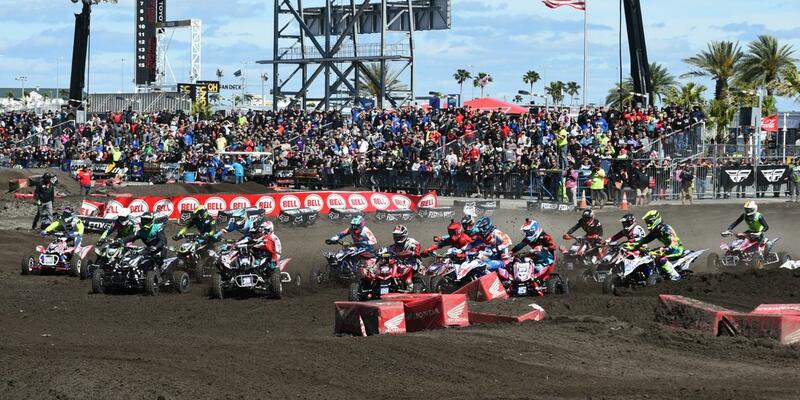 The $100 Bell Helmets Holeshot Award was up for grabs as the main gate dropped. Hetrick used his momentum from his heat race win to fire off the start and grab the early lead. Upperman and GennUSA Racing’s Nick Gennusa was in tow, while Wienen sat in a top-five position. Wienen wasted no time and made the pass for a podium position after the first lap was complete, and then second shortly after that. Wienen set his eyes on Hetrick who already had a gap on the rest of the field. Once in the lead, Wienen ran his own race while the battles continued behind him. After getting back up, Hetrick was running in fourth. He was able diligently work his way around Upperman and put the pressure on Nick Gennusa. With much of the focus was on Hetrick recovering from his mistake, Root River Racing/CST Tires’ Thomas Brown was quickly rising through the ranks. After an unfavorable start, Brown rode in fourth. With only a handful of laps remaining, Gennusa held off Brown, but with only three turns to go Brown would make the pass and steal the last podium position away from Gennusa. 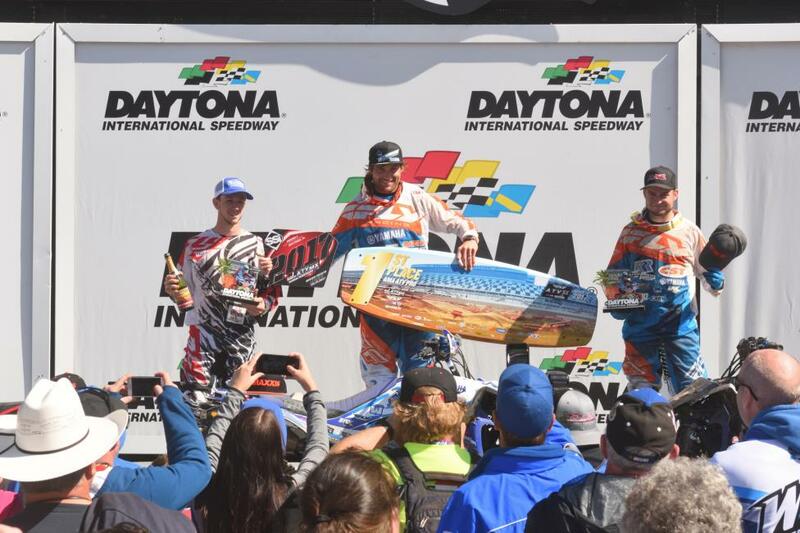 Wienen defended his 2016 ATVSX win, with Hetrick crossing the finish line behind him in second and Brown rounding out the main event podium. Gennusa placed just off the podium in fourth, and Upperman rounded out the top-five finishers in the opening round. 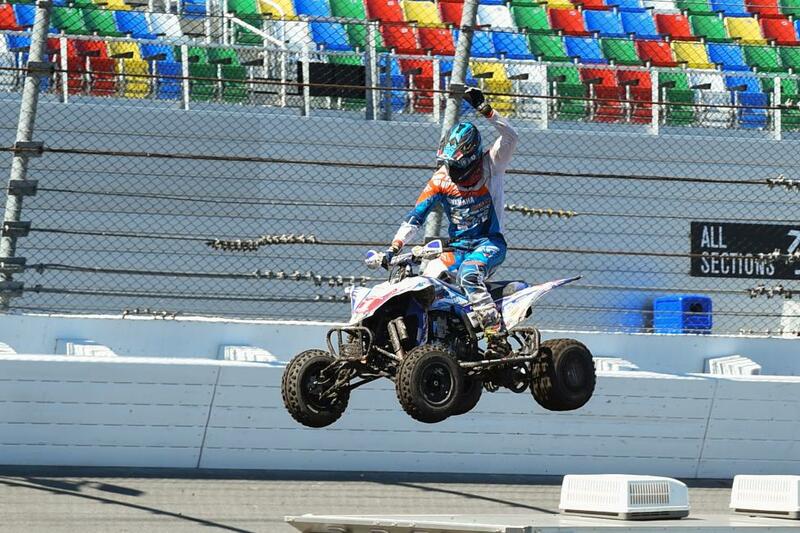 Walsh Racecraft/Honda’s Parker Wewerka had an impressive showing for his pro debut in sixth. Racer TV captured LIVE streaming of each qualifying round and main event, both amateur and pros. To watch the archived footage head over to RacerTV.com. A highlight show featuring the event will be aired on the MAVTV later this spring. The 2017 Wiseco ATV Motocross National Championship resumes with a return to the traditional motocross format on Saturday, April 1 at the popular Underground MX in Kemp, Texas. For more information on the 2017 Wiseco ATV Motocross National Championship, visit the series official website at www.atvmotocross.com. Join the conversation on the series Facebook page, follow on Twitter and Instagram, and be sure to always hashtag #ATVMX. The Wiseco ATV Motocross National Championship presented by CST Tires, an AMA National Championship, is the nation's premier amateur and professional ATV motocross series, hosted at top motocross facilities nationwide. The 11-round series features the Nation's best racers, teams and sponsors, and is America's largest and longest-running ATV national motocross program. Since 1985, the series continues to expand and produce top talent from the amateur ranks, while premiering the professional class. For more information, please visit www.atvmotocross.com.